Optimism: hopefulness and confidence about the future or the successful outcome of something. Now, please do not mistake this for ‘delusions of grandeur’, which, when ‘defined’ into Google, reads ‘Liverpool Football Club’. Being an optimistic fan is often counter attacked by a sarcastic comment (or simply “#deluded”) and since the signings of Lukas Podolski, Olivier ‘everyone’s man-crush’ Giroud and Santi CaTHorla (I doubt Paul Merson will ever pronounce our diminutive playmaker’s name right), I, Daniel Tregoning Blazer have become something of an optimist. It has been a while since I can honestly say I have been an optimistic Arsenal fan, rather than deluded, bordering on neurotic, one. Every fan has suffered from this grandeur and every season since Patrick Vieira smashed home that penalty against Manchester United to win the FA Cup in 2005 I have, without hesitation, stood by my opinion/delusion that this year will be Arsenal’s…so what’s changed? Well, this isn’t ‘Arsenal’s year’. BUT next season IS. Robin van Persie HAS been replaced (sorry to burst the Sun’s ‘Arsenal will cease to exist’ bubble). No, I know we haven’t signed Athletic Bilbao’s Fernando Llorente or Napoli’s Edinson Cavani or re-re-signed Jeremie Aliadiere (we haven’t have we?!) 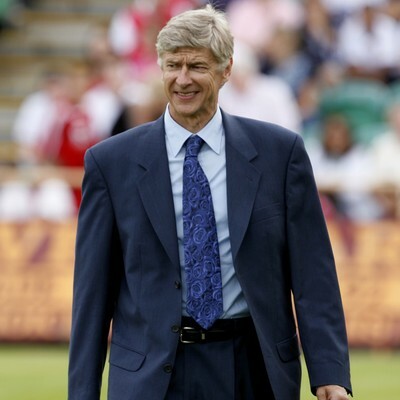 but Arsene has shared the workload. Lukas Podolski, Oliver Giroud and Theo Walcott are capable of 12-15 goals each; Santi Cazorla, Gervinho, Alex Oxlade-Chamberlain, Jack Wilshere and the rest of the midfield will easily score 6-10 goals each; according to my Mathematics that makes…a hell of a lot more than 30. So front-line, goals- SORTED. The midfield (with Nuri Sahin finally signing) is complete. Many sections of the Emirates would argue we need that Claude Makelele defensive midfielder and I definitely wouldn’t say no to a Yann M’Vila or Etienne Capoue signing but it is a luxury a self sustaining business model like AFC doesn’t need right now; I would even argue Mikel ‘future Brylcreem ambassador’ Arteta is our DM? The wealth of options in the midfield is something that even Manchester ‘lets buy every flavour of the month’ City don’t have. Now, to two words that usually send shudders down even the most positive of Gunners, ‘Arsenal’s defence’. This is an area that definitely is a weakness but not in the proportions that pundits would care for you to believe. Laurent Koscielny was the 2nd best Premier League defender last season (behind Vincent Kompany) although I’m still waiting for the upper echelons of the media to realise this?! Now for my optimism to become reality in the Premier League season of 2013/14, Le Profeseur needs to shift Thomas Vermaelen out to left back (*goes into hibernation through fear of backlash at this suggestion*) and here is why; ignoring the fact that the newest resident of Cell Block H, Andre Santos can’t defend and Kieran Gibbs is probably overrated and from the same gene pool as Amaury Bischoff, TV5’s understanding of when to ‘stay’ and when to ‘go’ is, frankly, criminal; for every heroic winner against Newcastle United, there are three or four occasions when our new captain misjudges situations and gets caught out of position but Koscielny ‘mops up’. So, with Verm out on the left and obviously Bacary Sagna at right back, who to partner Koscielny at the heart of the defence? Phillipe Mexes? Sakho? Why not Per Mertesacker? Okay, you can’t teach an old dog new tricks (or pace) but he is an option I love AFC being able to have. So for me, CB is an issue and the final piece of the jigsaw that will see us back in amongst the trophies. Arsene Wenger nearly didn’t make it, had to drag several thousand of us ‘kicking and screaming’ to the new era of Arsenal Football Club and admittedly come the end of the current campaign it will have taken seven seasons to get ‘there’ but, boy will it be worth it. You can quote me on that!